Don Stack brings to the law a knowledge of and respect for the environment developed during a career spanning more than four decades. Following graduation in 1975 from the State University at Geneseo in the Finger Lakes region of New York with a B.S. in Biology, he worked as a laboratory technician while taking post graduate work in environmental field biology at SUNY Binghamton. He then headed west where he combined the worlds of academia and field work as a National Park Ranger for the United States Department of the Interior. During the ensuing decade he worked as an Environmental Education Coordinator, a Naturalist, and as a commissioned Law Enforcement Ranger with the U.S. Department of Interior, National Park Service, serving in national parks in Arizona, Colorado, Florida, Georgia, Oklahoma and Texas. His duties included projects as diverse as the reintroduction of bighorn sheep in the canyons of western Colorado to backcountry horseback patrols in the cactus country of Arizona to boat patrols of the coral reefs of the Dry Tortugas in Florida. Returning east, he worked as a Law Enforcement and Boat Patrol Ranger on the Chattahoochee River in Atlanta while he attended law school. After graduation from the University Of Georgia School Of Law in 1986, he joined Lord, Bissell and Brook, where he was involved with environmental law issues arising from railroad operations. He also worked as Assistant Regional Counsel for the U.S. Environmental Protection Agency, 1988 - 1989. There he represented the Agency in matters involving federal facilities compliance, Safe Drinking Water Act enforcement, Emergency Planning and Community Right to Know Act prosecutions and National Environmental Policy Act issues. In 1990, Don was asked to join Constangy, Brooks Smith where he created and developed the firm's environmental law practice area. 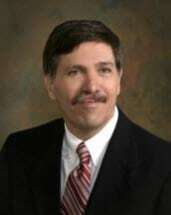 Recognizing a void in legal representation available to Mom and Pop businesses as well as individuals and non-profit organizations, in 1993 Don established his own law firm, designed to represent those entities who desired to ensure compliance with environmental regulations both for themselves and for their companies or organizations. Stack & Associates, P.C., focuses on plaintiffs' work, representing individuals, citizens' organizations, neighborhood associations and businesses in their efforts to protect and preserve the beauty and natural resources of the Southeast as well as their own individual properties. The firm's expansion over the past twenty-two years is a reflection of the growing demand for focused areas of practice: environmental, toxic torts, land use and zoning litigation. Don has served as legal counsel for innumerable citizens' groups, including the Wildwood Urban Forest Group, the Sandfly Betterment Association, Save Our Sandfly, the Darien Neighborhood Association, the South River Gardens Community Association and the Powers' Crossroads Neighborhood Association just to name a few. Stack & Associates also provides legal counsel to Altamaha Riverkeeper, Satilla Riverkeeper, Ogeechee Riverkeeper, Flint Riverkeeper, Sierra Club, Rabun County Coalition, Walton Oconee Morgan Environmental Group, Wilderness Watch, and other environmental advocacy organizations. Don is a member of numerous environmental advocacy organizations, including the Waterkeeper Alliance, the Sierra Club, the Georgia Conservancy, and others. In addition to being past president of the Georgia River Network, he served as the past president of the Canoochee Riverkeeper, an organization which he helped to create and found. Don was recent past Board Chairman and President of the Ogeechee Canoochee Riverkeeper, which he helped found, formed from the merger of the Canoochee Riverkeeper and Friends of the Ogeechee River. Don was honored by the Georgia Environmental Council as its Outstanding Environmental Professional of the Year in 2003, and has been voted by his colleagues in the State Bar of Georgia as a Georgia Super Lawyer nearly every year for the last ten years, since the inception of that program. In 2006, Don was honored to receive the Ogden Doremus Award for Excellence in Environmental Law. Don has spoken at numerous seminars and CLE events on environmental, toxic torts, land use and zoning law, including the semi-annual State Bar of Georgia Environmental Law Section seminar, the Council of Superior Court Judges, the Rollins School of Public Health at Emory University, the Georgia Chamber of Commerce, and the American Association of Apparel Manufacturers. Don is married to Ann Marie Ernst Stack, a native of Savannah, who was herself a noted environmental lawyer and partner at Bouhan, Williams & Levy. Together, they are the very active parents of five children ranging in ages from 10 to 22. In the little bit of spare time that he has, he likes to hike, kayak, read and relax.